I’m not a coffee drinker, but I do enjoy a hot cup of tea or hot chocolate this time of year. 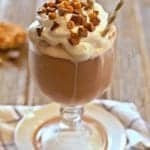 I know that lots of moms can’t survive without their morning coffee (even when it’s gone cold from sitting in the microwave for three hours), and I totally get it! 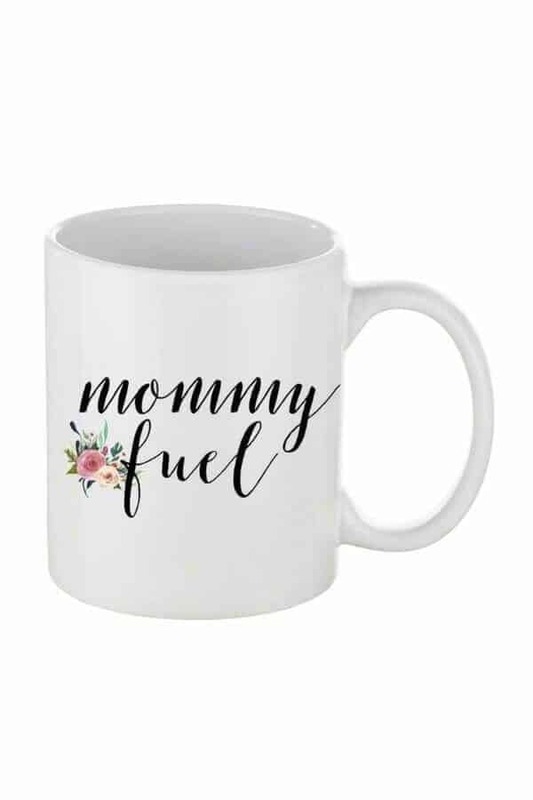 Caffeine makes me a little too wired, so I stay away, but for you mamas who can’t survive without your daily cup of joe, I found some seriously appropriate mugs that are sure to make that steaming hot reheated coffee taste better. 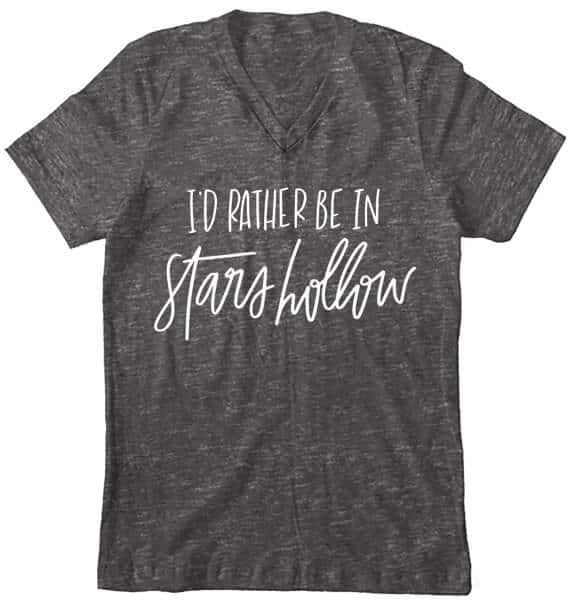 Maybe you have a mama friend, or perhaps your own mom, who drinks too much (coffee), and you need a gift idea for the holidays. I think these would all make adorably fun stocking stuffers! Even if nobody sees you drinking from this mug, it’s pretty funny. And so true of life as a mother! We all have days where we want to (or actually do) chug down a few bottles glasses of wine. 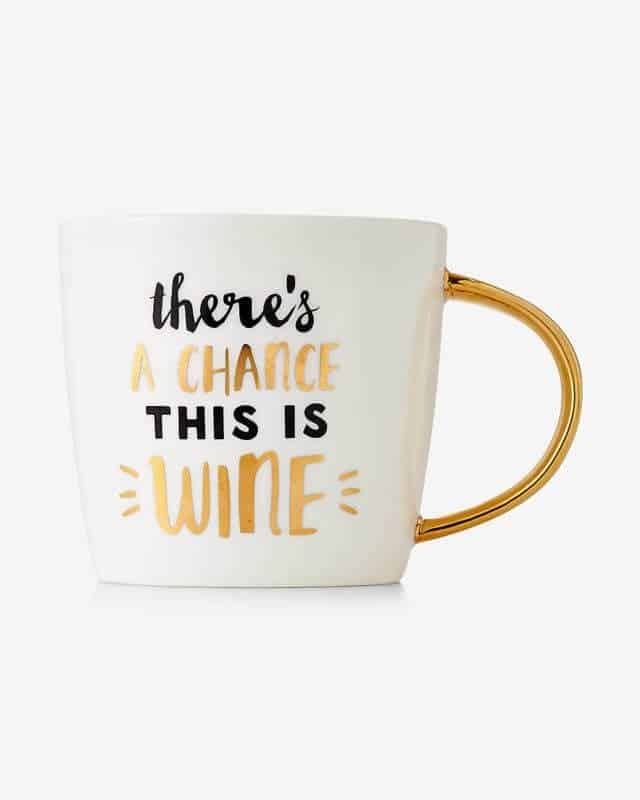 Listen, if you fill your coffee mug up with some Merlot, I’m not going to judge you. Your secret is safe with me! You can find this “coffee” mug at Express. Naps? What are those? Those are the things my children should take everyday so I can have time to get stuff done. But does it usually happen? Nope. That’s why I wish I had a scheduled nap time everyday! You feel me, mamas? If so, you probably agree that the best kind of party is a nap party. Sadly, the closest we’ll come to that is co-sleeping with monkey gymnasts who sprawl across the entire bed. 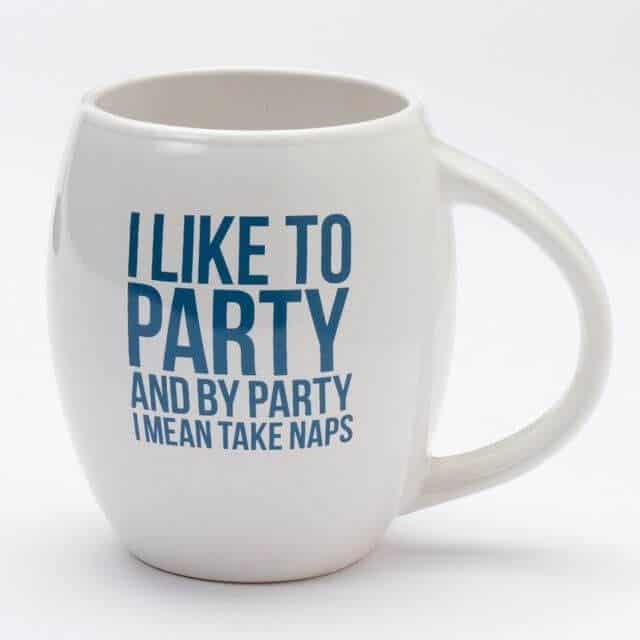 Grab this nap appreciation mug from Kohl’s. I mean, who needs a therapist when you have coffee, right? With every sip, it’s like that dark brewed goodness is reaching into your soul and saying, “I understand.” Dr. Coffee, you’re amazing. You know how to completely change my mood and motivate me for the entire day! Get inspired when you drink from this therapeutic mug, available at Nordstrom. Hashtags are #everywhere these days, #AmIRight? And if you’re one of those moms who spends her days on Facebook, Pinterest and Life As Mama (thank you! 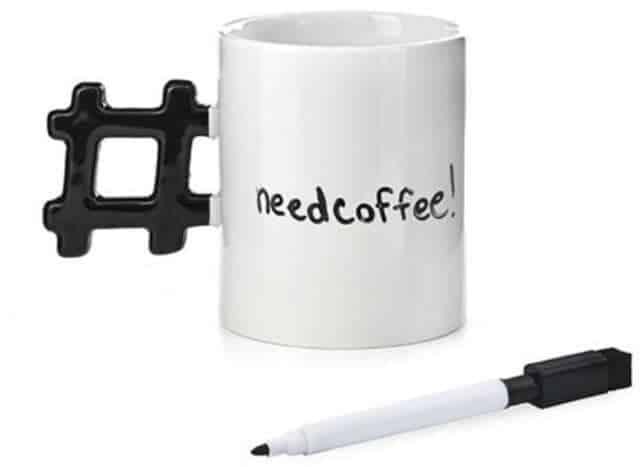 ), this mug is definitely for you. It comes with a dry erase marker, so you can change the hashtag everyday, depending on your mood. Isn’t that cool? I mean, #cool? 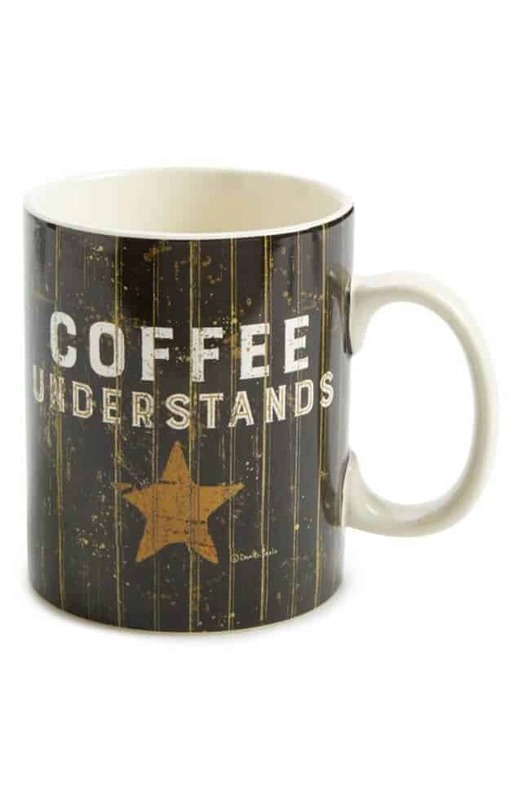 Get trendy with your #morningmug by buying this from Shoptiques. 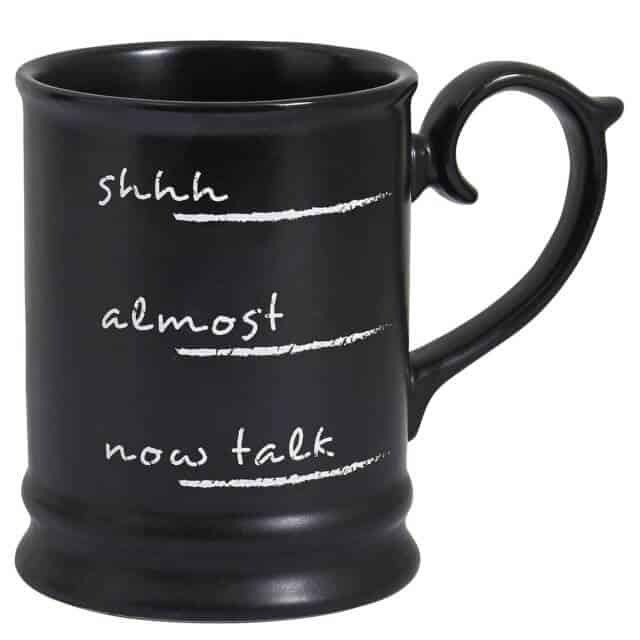 Enjoy more quiet mornings by drinking from this silent sipper, which you can find at Pier 1 Imports. 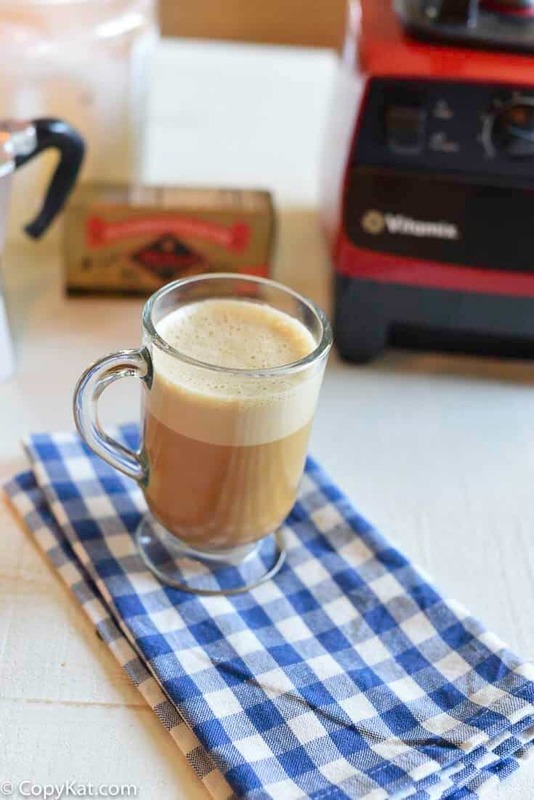 For moms like me who don’t drink coffee, we try other forms of fuel to keep us going. But one thing is for sure- every mama needs something to fill her up each day! 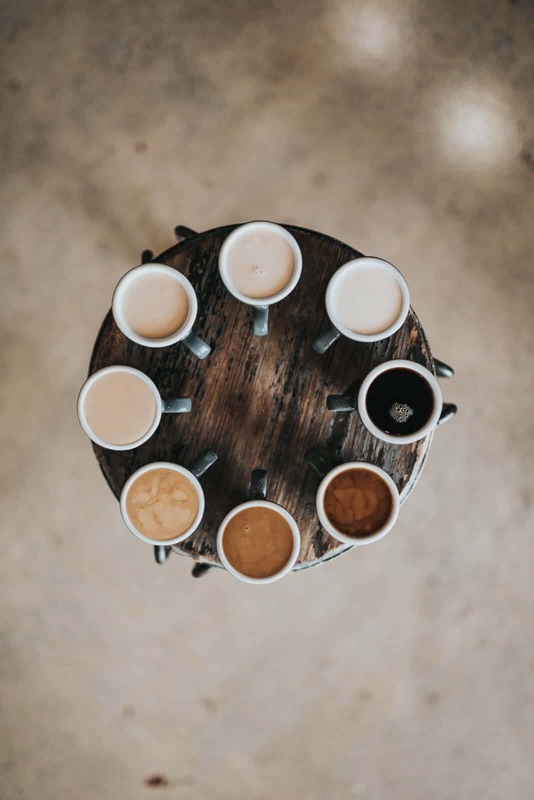 Whether it’s a hug, a few kind words, a trip to Target, or a few cups of cappuccino, mom fuel is different for everyone. If your fuel involves consuming a beverage, this mug is perfect for enjoying it in! Head over to Shoptiques to get this refillable fuel carrier. We moms love our children more than anything. But we also love our coffee. (Or other decaffeinated drinks.) 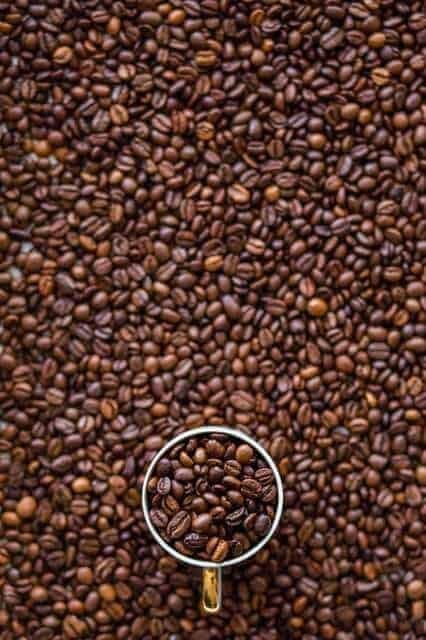 And some days, we really love our coffee. 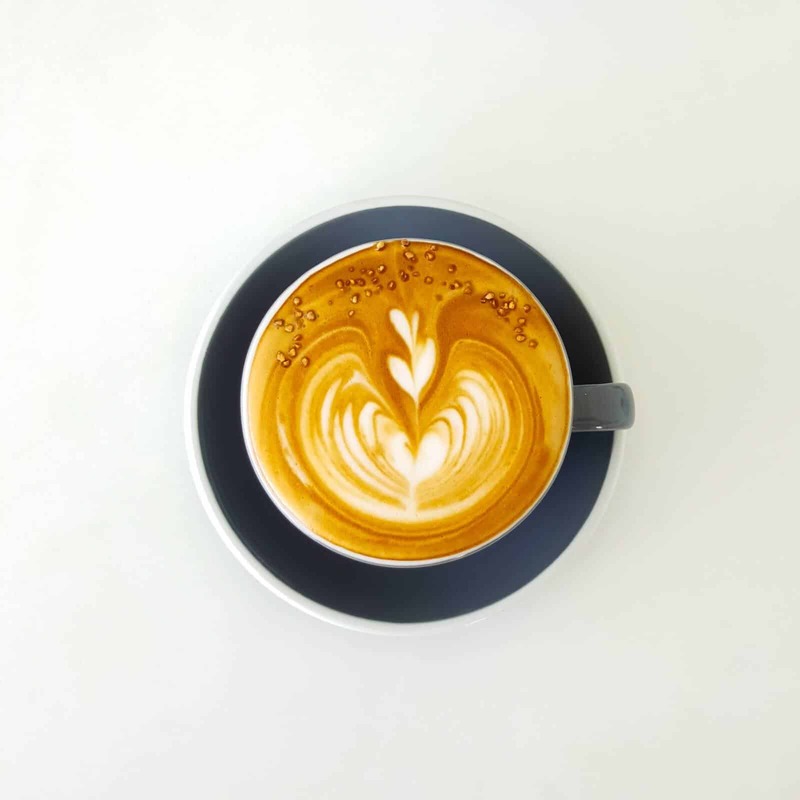 We treat our coffee like it’s one of the girls. Like we need it in our life as much as we need the air we breathe. We love our coffee so much, we drink from a mug that states the message loud and clear. 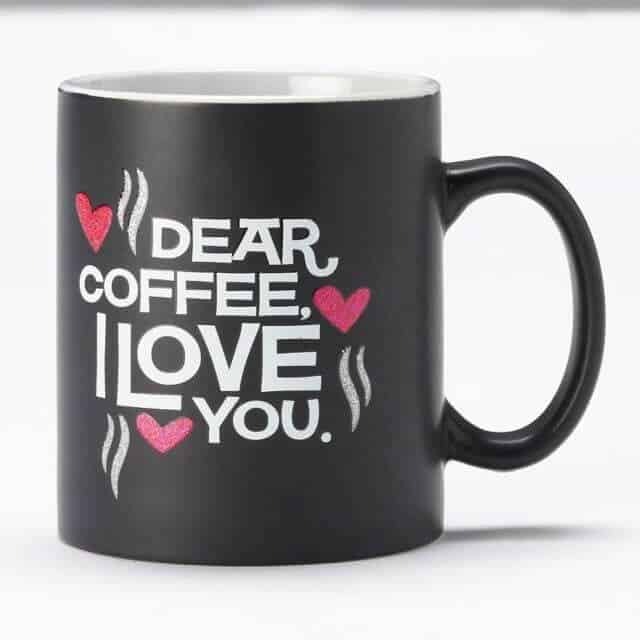 Show your coffee some affection by snatching up this love-ly mug at Kohl’s. Dads like to think that because they are “the man of the house,” that they make all the rules. But we all know that moms really wear the pants. Yoga pants, trousers, mom jeans, we call the shots, yo! And if you need further proof of this, just check out the big, bad boss mug we down our coffee from. 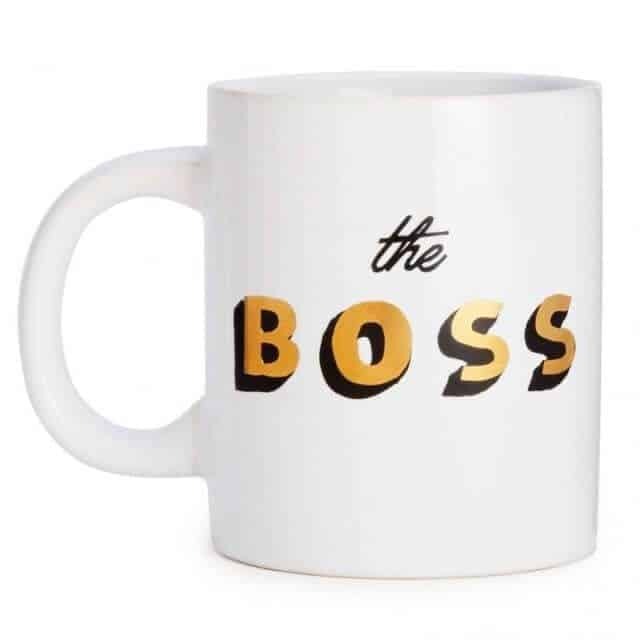 Take a stand by heading to Dormify and showing your family that you mean business with this mug.